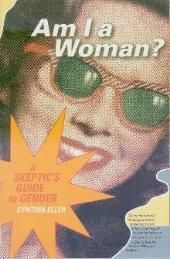 In this smart, intimate, and conversational book, Cynthia Eller asks what it is that really makes a woman a woman. Is a woman defined by her anatomy? Does she perceive the world differently from men? Is it her behavior that somehow marks her as inescapably female? Or is it a matter of how others evaluate her? Eller’s answers demonstrate that the whole business of deciding who is a woman and who is not—and why—is far more complicated than it at first appears.